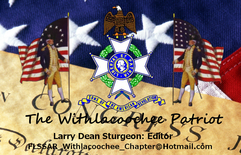 ﻿﻿The purposes and objectives of the Withlacoochee Chapter Sons of the American Revolution organization are declared to be patriotic, historical, and educational, and shall include those intended or designed to perpetuate the memory of the men who, by their services or sacrifices during the war of the American Revolution, achieved the independence of the American people. 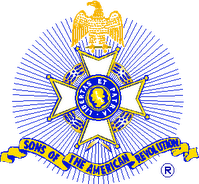 The SAR was conceived as a fraternal and civic society composed of lineal descendants of the patriots who wintered at Valley Forge, signed the Declaration of Independence, fought in the battles of the American Revolution, served in the Continental Congress, or otherwise supported the cause of American Independence. is active in Citrus and Hernando Counties.